Studying in the UK as a foreigner will require you to undertake specific standardized examination tests in order for you to be eligible to study at the University of your choice. It is very important to know what such exams you need to pass because they are naturally mandatory no matter the university. In other words, if your application misses out that particular test required in your admission you won’t be admitted to the university. In general, the standard examination required for your application depends on factors like your chosen course, study level or your nationality. For example, in a branch of mathematics, you’re willing to study the GMAT or GRE may be necessary, while at another subject field the likes of literature surely this test won’t be required. Further on, if you come from a country where English is the official language you won’t be required to take a standardized test of English knowledge. Here, we bring you every standardized test you need to take consideration of pursuing prior to your application at UK universities. Before moving any further, let start with the first test required from you to take ahead of your application to study in UK: language proficiency. Normally, the university you’re applying at is interested to know if you can speak and understand English well, so you can attend lectures and take part in discussions. These are the most common language test required at British universities. However, the band of English language proficiency tests has expanded and universities now identify specific groups of students aiming to evaluate their English level in different forms. In this context, universities have established a number of language examination tests on their own or they accept different kinds of English proficiency documents. Let’s say you’ve submitted all other required admission documents except English proficiency the admission board may decide to give you a chance to show your language knowledge in another way. For example, if your English grades throughout your earlier education have been exceptional the board will convert them into the official grading system in UK and will assess your English knowledge as satisfactory. With this in mind, we suggest you contact personally the university if they apply such form of English examinations of their admission process. Those who are about to take the test and don’t know where to start may find this link very helpful. The Graduate Record Examination (GRE) is a standardized test that is required for applicants applying for a graduate degree course, in UK universities. Many prospective students finding it confusing which one they have to choose GMAT or GRE since they seem to be similar. Note that the main difference between them relies on the fact that the GMAT is only required in graduate business programs, while the GRE is required regardless the graduate programs you have made up your mind. Much like the GMAT, the GRE tends to measure your abilities in algebra, arithmetics, geometry, writing skills and vocabulary. As for the structure, it is separated into three different sections: Analytical Writing, Quantitative Reasoning and Verbal Reasoning. Cambridge Law Test – Is a paper-based test, where you read an essay and then you’ll have to respond to some questions based on what you read. The test doesn’t require you to have a prior knowledge of the law but rather aims to measure your critical thinking abilities. LNAT (National Admissions Test for Law) – The LNAT test aims to know if the candidate who’s applying for a seat at the university has the necessary skills, including here verbal reasoning, interpretation of the information, analyzing and coming up with conclusions relating to an issue. Similar to the CLT, this test doesn’t require you to have prior knowledge of the law. Mathematics Admissions Test (MAT) – The MAT is a standardized mathematics test administered jointly by two of the most reputed British universities, that of Oxford and Cambridge. It is a paper-based test that aims to grade the applicant’s skills in a particular mathematical subject. Everyone willing to enter an undergraduate degree course in Mathematics or Computer Science must undertake this test. Sixth Term Examination Paper (STEP) – The STEP test is currently designed and used at the University of Cambridge and the University of Warwick. 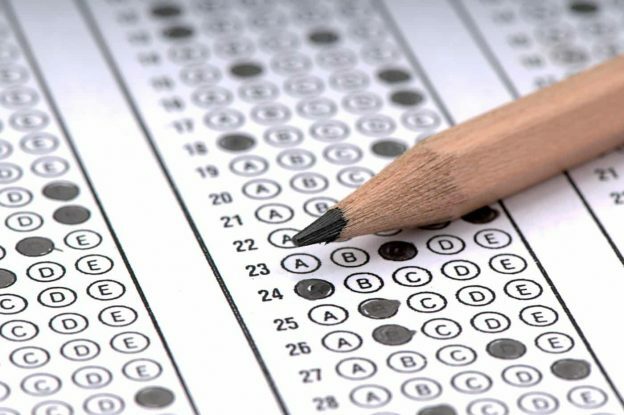 A STEP test-taker will have to show a solid knowledge of typical undergraduate mathematics topics. Test of Mathematics for University Admissions – This test aims to measure your mathematical reasoning abilities. If you want to enter the University of Durham, Lancaster University, University of Warwick, University of Sheffield or the University of Southampton then you’ll have to take this test. BioMedical Admissions Test (BMAT) – The BMAT is required to be taken by any applicant applying for a course in Medicine, Biomedical Science and Dentistry. Graduate Medical School Admissions Test (GAMSAT) – The GAMSAT test is required for students who want to enter a Medical graduate program in Australia, UK or Ireland. It was developed by the Australian Council for Education Research (ACER) and the Consortium of Graduate Medical Schools to select the best candidates. Health Professions Admission Test (HPAT Ulster) – The HPAT is designed to be taken by those students who want to study for a Health Profession. UK Clinical Aptitude Test (UKCAT) – Universities in UK require the UKCAT test for students willing to enroll a medical or a dental degree programmes.